Everyone deserves a massage at least once in their life, probably more than that. And while many people will treat themselves to a massage from time to time when stress levels are high and they are at a breaking point, there are still those who have never experienced a massage. Massages not only can help combat stress, but they can also help sore muscles, get the blood flowing, and so much more! You can learn more about the benefits of massages in our previous blog! Basically, massages can help with more than one thing, and they can offer you a variety of benefits. If you have finally caved and scheduled your first ever massage with Belle Ross Spa & Salon, you may be wondering what you should expect. We understand and want to help give you some tips and ideas of what you can expect and how to best prepare for your massage! First of all, you must pick the right massage for you. Based on what you are looking for and the type of results or benefits you are hoping to receive, you should pick your massage type carefully. If you are looking to soothe sore muscles, a deep tissue or sports massage is the right choice for you. If you are looking for something more relaxing and calming, a Swedish massage may be a better option. If you aren’t sure what massage type you are looking for, be sure to talk to our expert massage therapists, they can help find the right massage for you! While you may not think to shower before heading out to get fragrant oil rubbed all over your body, you and your massage therapist will be be glad you did. When you feel clean, you feel good and your massage therapist will be glad you did. If you have long hair, don’t forget to bring something to pull it back. Another good idea is to use the bathroom first, nothing will ruin your relaxing massage like having to go in the middle of your massage, expect maybe your cell phone. If you are the type who works from your phone, is always on social media, or can never put it down, be sure to turn it off before heading into your massage. This is you time and you don’t want friends, your boss, or your needy mother trying to distract you from relaxing and enjoying the massage. Knowing how much to take off may be difficult for first timers. Take off whatever you feel comfortable taking off. Most people take everything off and get under the sheet, some may keep on their underwear. You will always be covered by the sheet and never be exposed to the therapist. 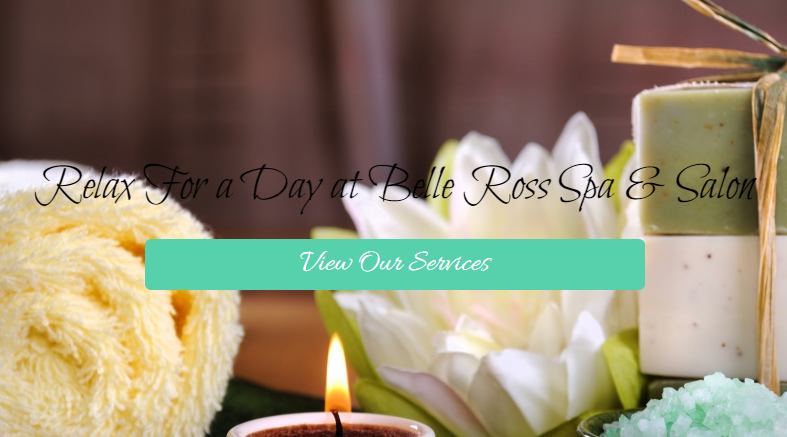 If you have any more questions about your first massage and what to expect, contact Belle Ross Spa & Salon today. We can answer all of your questions and help you prepare for your massage. Take a look at the massages we offer and schedule your appointment today!